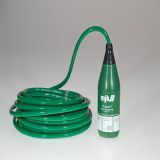 Surface water can be affected by land use, agricultural practices, pollution and climate change. As you already know, monitoring and treatment of surface water requires significant investments in time and money. 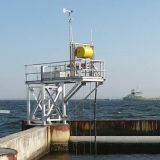 These investments and public health may be jeopardized if surface water changes during extreme events or contamination. 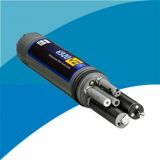 SonTek and other Xylem instruments work to provide a continuous and comprehensive record of water quantity and quality. 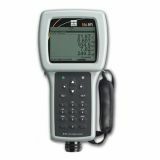 Our instruments provide the reliable data you need to act quickly, work efficiently and reduce costs. 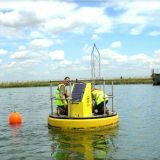 We understand the challenges of working in natural environments. 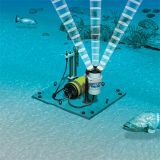 Our systems play a key role in improving water quality and plant efficiency, while allowing for early warning and rapid response to events such as floods and algal blooms. 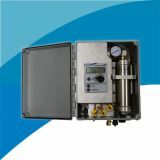 The Aurora 1030W TOC Analyzer processes aqueous samples for analysis of the total organic carbon (TOC), total inorganic carbon (TIC), and non-purgeable organic carbon (NPOC) content of the samples. 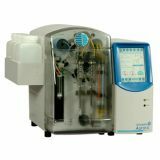 Get more from your analysis with the Aurora 1030C TOC Analyzer, an instrument designed to process aqueous samples for the analysis of total organic carbon (TOC) using the high temperature combustion technique. 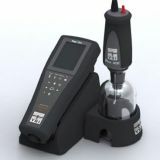 Capable of processing up to 300 samples daily, the Aurora 1030C offers a broad sample scope of 100 ppb to 30,000 ppm. 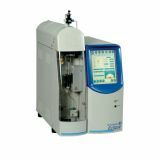 The 1088 Rotary Autosampler is specifically designed to operate with the Aurora 1030W TOC analyzer or Aurora 1030C TOC analyzer. 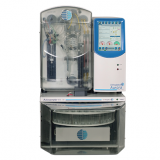 The 1088 autosampler aspirates liquid samples from vials and transfers each sample aliquot to an Aurora 1030 TOC analyzer for analysis. 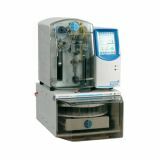 A removable 88-position autosampler tray loads the sample vials for fully automated, unattended operation. 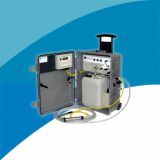 The Eclipse 4660 Purge-and-Trap Sample Concentrator processes samples for analysis of volatile organic compounds (VOCs) by gas chromatography (GC) or gas chromatography/mass spectrometry (GC/MS). 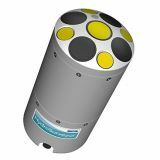 Innovative, patented components within the Eclipse significantly improve sample processing steps of the purge-and-trap technique. 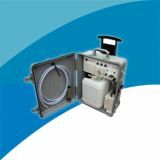 The WS705 single-bottle composite/discrete water samplers combine all the features needed to meet a wide variety of water sampling requirements, including those for stormwater, industrial discharge, water and wastewater treatment, waste collection systems, rivers, and streams. 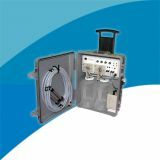 Our new WS755 improved two-bottle wastewater/stormwater samplers combine all the features you need to meet a wide variety of sampling requirements, including those for stormwater, industrial discharge, water and wastewater treatment, waste collection systems, and rivers and streams. YSI's EcoSense® product line of compact, handheld instruments includes the pH100A pH meter. 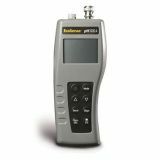 For simple, one handed operation for pH readings or mV values and temperature the pH100A is a logical choice. 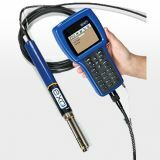 The 556 MPS handheld instrument has been discontinued and Xylem Analytics Australia is no longer accepting orders for this instrument. However, we will continue to support existing 556's for the next 5 years. 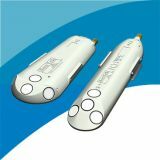 We recommend The Professional Plus (Pro Plus) or ProDSS handheld instruments as suitable replacements. 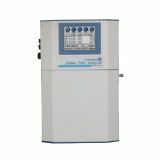 The OI Analytical 9210p On-line Total Organic Carbon (TOC) Analyzer is designed to continuously monitor TOC levels in process water streams. 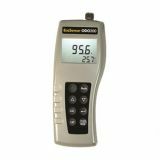 The 9210p uses proven heated persulfate oxidation technology for accurate, dependable operation and regulatory compliance. Virtually all organic compounds dissolved in water can be oxidized with high efficiency by this technique. 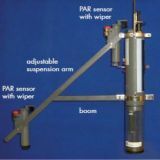 Global Water has created a unique flow sampling system. 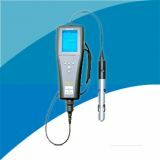 This system includes an easy to use lightweight composite water sampler, an open channel flow monitor with dual displays and outputs, and a data recorder that is both Windows and PDA (Windows CE or Mobile) compatible. 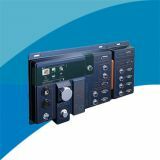 This compact system is portable for field installation and fully customizable to meet your needs. 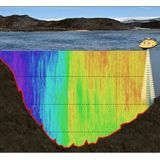 Xylem Analytics has joined with WaterCube to provide a natural extension to the capabilities of the SonTek M9 ADCP with the ability to map longitudinal reaches of river section and depict this in a full 'real data' 3D visualisation. 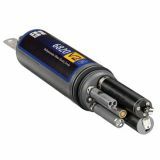 With the SonTek M9 having a dual function of being both a Discharge and Bathymetry tool, the linkage with WaterCube is allowing our customer base to maximize the use of this very powerful asset. 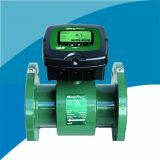 The Global Water FM500 ultrasonic flow meters provide accurate and trouble free flow metering for a wide range full pipe applications including: potable water, raw wastewater, effluent, well water, slurries, or virtually any sound conducting liquid. 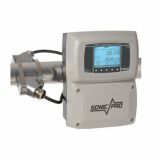 The FM500 ultrasonic flow meter incorporates the latest ultrasonic technology to give you an accurate, easy to use hybrid flow meter with selectable Doppler or transit-time operating modes. 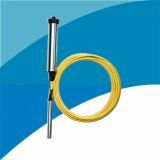 The Global Water Flow Probe is a highly accurate water velocity instrument for measuring flows in open channels and partially filled pipes. 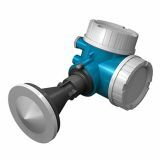 The Bubbler has an improved controller and pressure regulator that use a sophisticated system of sensors and valves to regulate the bubble rate and purge pressure. 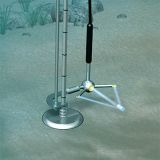 And to keep the sediment from settling around the orifice line, this Bubbler provides a purge feature to keep the pressure at a desired level. You can even start a manual purge, anytime, with the touch of a button. 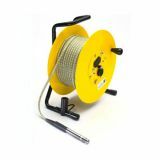 This system was made for those who don't have time to mess around at the site. 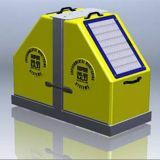 The Sewage Lift Station Wastewater Level Sensor's "Steelcage" design offers the highest reliability in level measurement for severe high solids environments such as sewage, lift stations, storm canals, wet wells and slurry tanks. 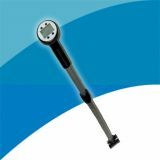 Global Water's WL400 Water Level Sensor provides highly accurate water level measurement for a wide variety of applications, including those in severe environments. 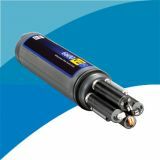 The submersible pressure transducers have a dynamic temperature compensation system, enabling high accuracy measurements over a wide temperature range. 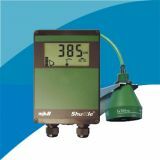 The water level sensor is easily adapted to all dataloggers, telemetry, monitoring equipment, and displays. 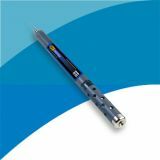 Global Water's WL 500 Well Level Sounder sets a new precision standard for well water level measurement. 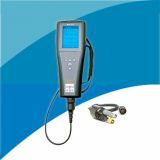 The Water Level Sounder meets or exceeds federal specification US GGG-T-106E (USA) or EEC CLASS II (Europe) for a guaranteed accuracy of 0.008%. 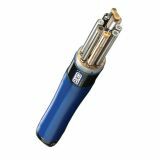 The Water Level Sounder uses a full depth-rated stainless steel and teflon probe that is 5/8-inch (16 mm) in diameter. 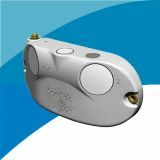 Sensor electronics are encapsulated in a water and dust proof housing. 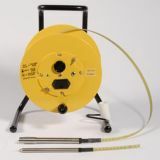 The Electronics module can be removed so that the entire reel and tape can be cleaned and decontaminated. 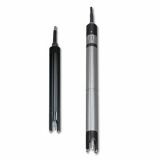 The flat spring steel core ensures that the level sounder will hang perfectly straight in large and small diameter wells. 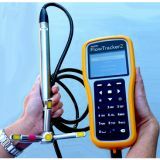 This provides unparalleled accuracy when compared to the flat white tapes, where kinks in the tape introduce slight errors, in addition to the displacement of water changing the static level. 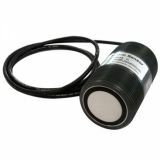 The WL 705 Ultrasonic Water Level Sensor uses the latest ultrasonic distance measuring technology for accurate non-contact water level monitoring. 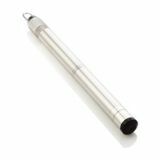 The sensor contains a rugged transducer in a stainless steel sealed housing for long life and provides an industry standard 4-20 mA output. 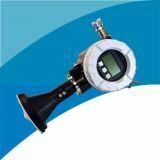 Global Water's WL 550 Oil/Water Interface Meters measure the depth and thickness of floating (Light Non-Aqueous Phase Liquids or LNAPLs), sinking (Dense Non-Aqueous Phase Liquids or DNAPLs) hydrocarbons and water in monitoring wells as small as 1/2 inch (12.5 mm) inner diameter using an optical probe for industry leading accuracy. 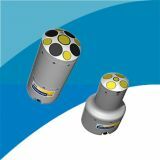 All Oil Water Interface probes are pressure proof and leak proof using a unique triple-seal design. 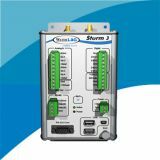 The Storm 3 Data Logger incorporates a balanced set of inputs for analog, digital I/O and SDI-12 smart sensors to allow communication through cellular modems and GOES satellite. 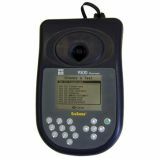 You'll love how easy it is to configure and collect data using the browser-based graphical user interface (GUI) with all standard web browsers on PCs, tablets and smart phones. 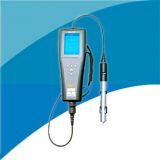 The DCX-22 Self Contained Water Level Dataloggers are highly accurate, self-contained, battery powered absolute pressure water level loggers designed to record water depth and temperature over long periods. 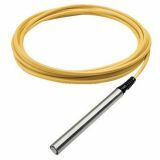 The absolute pressure water level sensor, electronics and battery are housed in a rugged, double-sealed 316 stainless steel tube for long term submersible deployment. The DCX-22 Self Contained Water Level Dataloggers require no external wires and may be suspended with any suitable and secure cable. 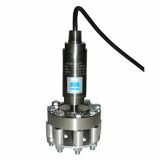 When it's time to download the recorded data, the DCX-22 is simply retrieved from the measurement point and the double sealed end cap is then removed to access the absolute pressure water level sensor's data port.